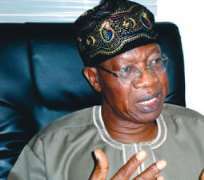 The All Progressives Congress (APC) has said the 'sickening and outlandish claim' by the Goodluck Jonathan Campaign Organisation that the APC National Leader, Asiwaju Bola Tinubu, plans to become Vice President through the back door is designed to divert attention from the success of the party's presidential candidate, Maj. Gen. Muhammadu Buhari(retd. ), at the Chatham House in London on Thursday. The APC said, 'Our presidential candidate's globally-acclaimed outing has presented Nigerians, and indeed the global community, with a choice between a bumbling, ineffective, incoherent, clueless, visionless and incompetent President and an assertive, knowledgeable, dignified, purposeful and principled President-in-waiting. It added, 'They have thrown everything imaginable at Gen. Buhari, but he has continued to wax stronger and stronger: They said he was not qualified, that he was too old, then they fabricated a medical report of an illness of their own choice, sponsored death wish adverts against him and instituted a myriad of court cases to stop him. 'After they failed to stop him, they went after the election itself, using the PVCs as a tool to launch a campaign for postponement and, when they realised that would not work, came up with the bogey of insecurity in the North-East to force a postponement of the election, hoping they can buy enough time to revive their electoral misfortune. APC said in as much as it had so far refrained from engaging Fani-Kayode in what the party called 'his game of character assassination, abuses and irresponsible name calling, the party is becoming seriously concerned that he may be caving in under pressure and reverting to his undignified past of substance abuse.' -Punch.